Reading all the online reviews of just one hotel would typically take 25 days, according to an internet consultancy speaking at World Travel Market. Jakob Riegger, managing director of Munich-based consultancy ‘TrustYou’, said the average single property now had 10,000 reviews on 50 websites. Riegger was speaking at a social media seminar at WTM, the leading global event for the travel industry. 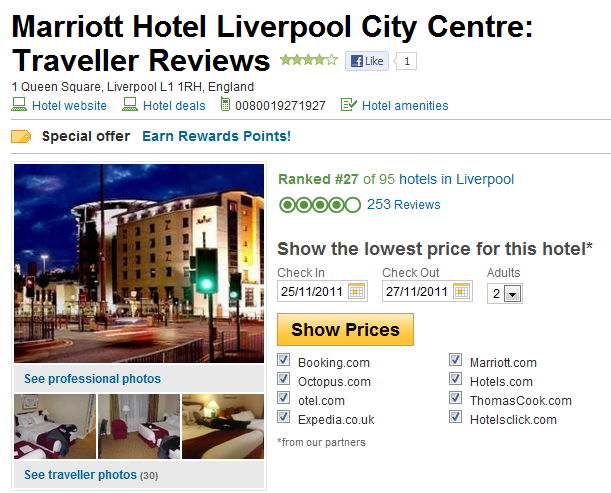 He estimated that a small hotel chain would attract enough reviews to provide 300 days’ reading. These reviews could then be collated and the good and bad points acted upon, he said. Riegger said tourism authorities were increasingly using reviews to determine star ratings, with Switzerland and Germany already taking them into account. Debbie Hindle, managing director of public relations company ‘Four BGB’ said social media was “the best possible customer research tool you will ever have in the world”. She said it prompted “huge retention and advocacy”, was valuable in natural searches and was an excellent reward and sales channel.